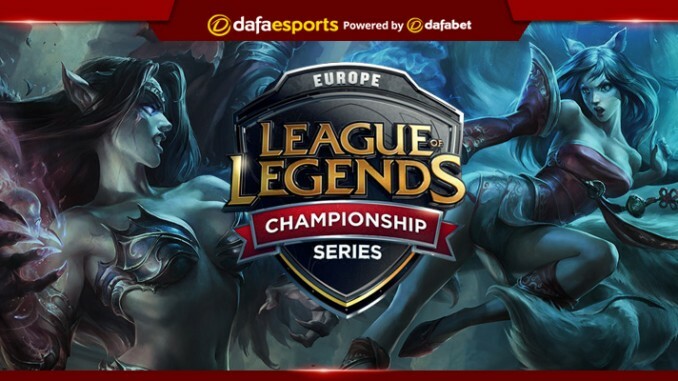 The League of Legends European Championship is down to the last four, with a spot in the grand final on the line in Saturday’s winners’ final. The match-up of the top two seeds from the regular season looks an absolute banger, with G2 Esports colliding with Origen. While the final awaits the winner, the loser will get another chance, facing the winner of this weekend’s other match between Fnatic and Splyce. G2 were on track for a perfect season for much of the year, but they tailed off late on with many associating their drop in play due to both their early play-off qualification and the injury to Support player Mikyx. If forced to use a substitute player, G2 will be much more vulnerable. Mikyx is not only mechanically gifted but also his synergy with first-year Marksman Perkz, who transitioned from being a Mid-laner, is key. For G2, it boils down to whether or not they can mould themselves to the latest patch, something they have previously been able to do cleanly given the versatile players on their team. After reaching the World Championship final last year, Caps is used to this type of pressure and will be looking for a spot in the final yet again. Origen steadily improved throughout the Spring season and now find themselves on the verge of a place in the final. The clear strength for this team is the solo-lane combination of Alphari and Nukeduck, players who are both highly skilled and easily adaptable. However, every other member of the team had a better than anticipated regular season, with Jungler Kold, in particular, making an impact. After his stock dipped last year on the Unicorns of Love, Kold’s acquisition in the off-season was met with mixed reviews, but his ability to shot-call and play around his lanes has already shone through this year. With mithy also reviving his career with the team, Origen have several motivated players ready to take the next step. The odds suggest they will lose on Saturday, though. Dafabet have them as 2.810 outsiders against G2 (1.444). The other match-up of the weekend sees the red-hot Fnatic take on the ever-underrated Splyce on Friday. After entering the play-offs on an eight-game winning streak, Fnatic swept away a dangerous Team Vitality 3-0 to put the world on notice. Many have suggested Fnatic are the best team in the tournament, finally showing a form similar to that which allowed them to reach the World Championship final last year with four of their current players. Broxah has once again proven to be one of the best Junglers in the region and his ability to dominate skirmishes all year long has been one of the pillars of Fnatic’s rise in the second half of the campaign. However, the same questions for this team from the off-season are still being asked, with the jury still out on whether or not Nemesis can perform with the pressure on. Splyce have been one of the most consistent teams all year long in the LEC, primarily fuelled by the play of Kobbe, who earned LEC Spring All-Pro Team honours. Kobbe has held this star form for much of the split, with his team relying on his team-fight prowess in the late game. Splyce made it through the first round of the play-offs by beating SK Gaming 3-1 but now have a difficult task against in-form Fnatic. This is the first play-off run for Humanoid, who, like Nemesis, has had a solid debut season in the league. Jungler Xerxe is always a player to keep an eye out for given his deep champion pool that allows the team to catch the opponents off guard during the draft stage. Top-laner Vizicsacsi will be in a unique battle with Bwipo, with each player looking to control the lane with a counter pick. The odds have Splyce big underdogs at 4.690, with Fnatic 1.198 to progress to the next round.